Cheap Plane Tickets To Dubai. Compare Airlines & Travel Sites To Find The Cheapest Flights To Dubai. 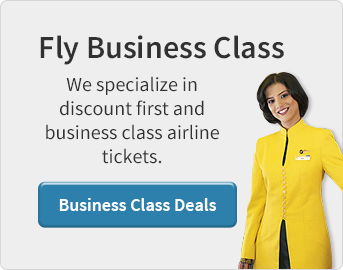 Book Cheap Flights To Dubai With Jetsetz Today! Save big on flights to Dubai with our cheap plane tickets. Take advantage of our last minute flight deals to Dubai and save a bundle. Utilize our wholesale rates and save 100’s on your Dubai airline tickets. Search our extensive database to find the largest selection of flights to Dubai. Book cheap plane tickets to Dubai. Jetsetz is an airline consolidator that specializes in cheap flights to Dubai. As a consolidator, Jetsetz compares top airlines & travel websites to find the cheapest flights to Dubai. Some of the top airlines that fly to the Dubai are Qatar Airways, Etihad Airlines, Emirates, Cathay Pacific, Turkish Airlines, American Airlines, United Airlines, Lufthansa Airlines and Delta Air Lines to name a few. Most of these airlines offer cheap non-stop flights to Dubai as well as direct flights to Dubai through various airports located in the United States, Canada, UK and Europe. Jetsetz also works with international airlines that offer cheap one-way flights to Dubai. The best way to find cheap plane tickets to Dubai is to book your flights to the to the Dubai International Airport (DXB). The Dubai International airport is the busiest airports in United Arab Emirates and one of the largest airports in the world, with hundreds of flights arriving daily. Some of the top airlines that fly to Dubai are Emirates, Etihad, Qatar Airlines, American Airlines, United Airlines, Lufthansa, Virgin Atlantic & British Airways to name a few. Each of these airlines offer cheap non stop flights to Dubai as well as connecting flights to Dubai through various airports located in the United States, Canada and United Arab Emirates. The best time to fly to Dubai is between November – January, as the weather is not too hot. June - October is very hot in Dubai, so it is the low season. This is the best time to find cheap flights to Dubai. August is the cheapest month to fly to Dubai. If you are planning to fly during these times, be sure to book your flight at least 60 days prior to your departure date to get the cheapest fare. Winter is the peak travel season, with the most expensive prices on flights to Dubai. The Dubai International Airport’s central location makes it a great airport to find cheap flights from Dubai. There are numerous international airlines that offer cheap flights from the Dubai International Airport (DXB). If you plan to fly within Dubai, you will need to catch a domestic flight departing from the Dubai International Airport. Most domestic flights throughout Dubai are handled by Dubai Airways. To catch your flight from the Dubai International Airport, you will need to move from the International terminal to the Domestic terminal. Depending on where you are located in the terminal, you also may need to check your bag through customs and security, so be sure to give yourself at least 2 hours to connect to your domestic flight within the airport. The Dubai International Airport is located 14 km south-west of Dubai's city center. The best way to travel from the Airport to Dubai is to take a taxi. Once you are in Dubai, the taxi's are the best way to get around the city. If you are planning on traveling outside of Dubai, or if you want to visit other cities within Dubai, you will probably want to hire a rental car. You can either rent a car at the Dubai Airport or take a taxi into the city center, and rent a car at one of the many rental car offices in Dubai. The city of Dubai is a fast growing city of interesting contrasts, from its modern architecture and soaring skyscrapers to its Arabic homes and traditional villages. Dubai has also become the epicenter for business in the Middle East with shipping, banking and international commerce driving the Dubai economy into the 21st century. Many visitors travel to Dubai for its world class golfing, exceptional scuba diving, desert safari, and its famous shopping. Whether you fly to Dubai for business or pleasure, you are sure to have a great time in the modern city of Dubai.